I wasn't meaning to post articles solely on that topic, though; I was looking for more general and how-to re: minister taxes. Anyone have a go to site or reference article they'd like to share? "Dan Busby Ministers Guide to Taxes and Finances....something like that. 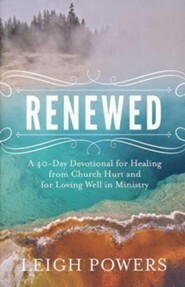 Published by Zondervan. If you do your own taxes and want to do them correctly, this is a great book." http://www.churchlawandtax.com/aboutus.php -- "Richard Hammar also offers the annual 'Church and Clergy Tax Guide'. I've seen pre-sale offers for 2013. Worth's usually prints an annual book also. "We have used Stewardship Services for the past 10 years or so. They are based out of the The Masters College campus and do taxes for those in ministry. They do not charge, however do accept a donation. I'm sure you can look them up online. We have always appreciated them!" https://www.guidestone.org/LearningCenter/Ministry/MinistersTaxGuide.aspx "Guidestone usually puts out a pretty throrough guide. I don't think the 2012 edition is out yet, but this is last years."